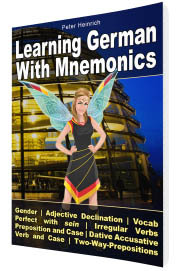 Click here to get to the mentioned eBook “Learn German Grammar With Mnemonics”. Apart from that you find a lot more tips and tricks on this website to improve your studying and thus make it a lot easier to learn German. First of all let me apologize for my simple and sometimes wrong English on this website. That´s due to the fact that English is not my mother tongue. Teaching German as a foreign language, I´ve met so many wonderful people from all over the world. I just love making it easier for them to get started with a new language and culture! Wouldn´t it be great if instead you had really great teaching methods and learning aids ready, specially developed for learning German? On this website you´ll find both of these! You are going to find pro-tips, which I promise will make your learning German much easier! For sure you´ll discover absolutely new stuff on this website, and – who knows – one day you might be as enthusiastic about mnemonics as myself and many more customers who gave it a try already. But for now just have fun exploring my site and with your new fight against learning German by “rote repetition”! I enjoyed the Ideas on your website very much. Like you I teach German as a foreign language. I work at a private language school in a small town in the south of Poland. I am very interested in Mnemonics and think your Ideas are very helpful. Everybody has seen some great memory artists on TV. They seem to be able to memorize EVERYTHING pretty easily! Are these guys naturally super-smart? Do they have some innate super-memory? Nope! They just use very efficient tricks – they use so called mnemotechniques or – mnemonics, highly sophisticated mental memory systems. 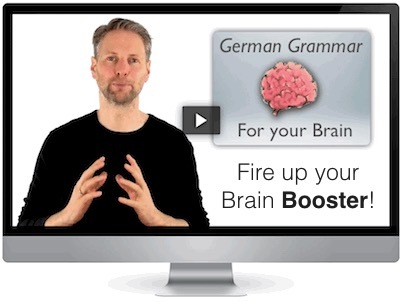 On this website you will learn how you, too, can develop a super-memory and take huge advantage of it by applying it to your German learning. What makes this website exceptionally “smart”? Well, I built this website because the feedback from my students was so awesome. All of us are absolutely convinced that these techniques absolutely rock for learning German! Slowly but steadily more and more students of German as well as teachers want to get rid of those stubborn tables and merely text based learning “tips”! Instead they discover the incredible power of mnemonics. Anna and her students are so happy with there new learning techniques that they gratefully sent me this wonderful photo. The picture shows some of our mnemonic-study-posters hanging on the walls of the classroom. These fantastic posters are part of the POWER-Learning-Kit for German grammar. Also the German “Volkshochschulen” have already learned, how extremely useful visual methods are for everybody who is willing to learn or even teach German. That´s why in the “European Language Portfolio” asks learners to reflect on their personal language learning strategies. Can you check the following boxes too? On this website you will find mnemonic illustrations by a professional artist, and in the shop you´ll find absolutely new and innovative aids for both German learning and teaching in the form of eBooks videos, songs and more. 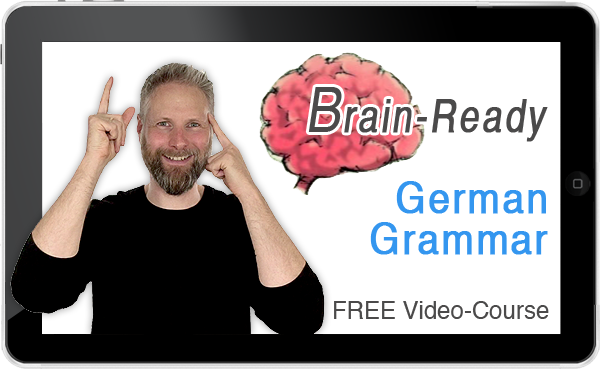 In the section German grammar you´ll find all kinds of free stuff to easen up your learning of severe topics of German grammar. Plus, many teachers from all over the world reveal their best tips and share them with you on this website, so you can get the best tips to improve your German! Got an idea for improvement? Found a typo? No problem, I´ll update the website immediately! What I really like is Peter´s open mind when it comes to criticism. As I pointed out a mistake, I found an update of the entire material on my computer immediately. Download study material to learn German right on your computer. Songs, films, eBooks, flash cards and more. Print it out – and you´re ready to go! 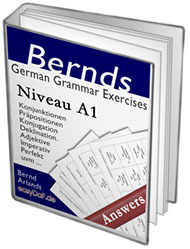 Everything on this site is appropriate for both – those who learn German and for German teachers. If you teach German as a foreign language you will definitely impress your students with innovative techniques and awesome posters. I am so thrilled by your material, because it matches exactly my expectations of exciting and effective teaching. If you learn German using our material you will find explanations of German grammar which you will really understand and you will become capable of learning German the easy way – guaranteed! Everything is bilingual, in German AND English. This way you can always take a glance to the German version and yet be confident of understanding EVERYTHING. easyDaF is a very simple learning method. It is clear, funny and easy to comprehend. It makes me able to learn German at independently at home.